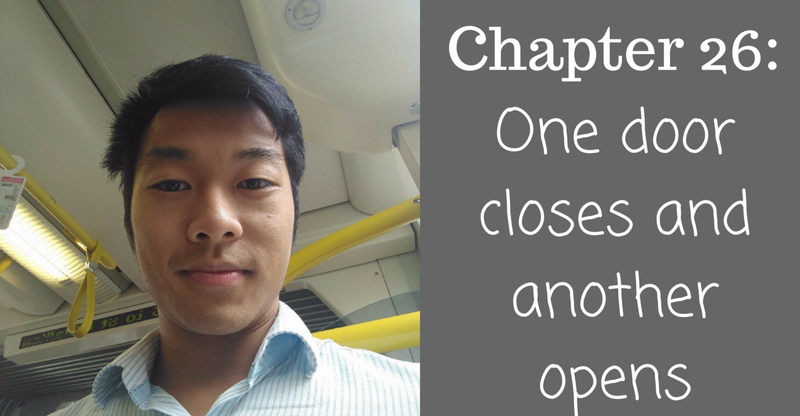 Today is Day 178 of my self-publishing journey. I’ve decided to call it early and end it today, a couple days before Halloween. I launched on October the 17th with the first two books of my series, Rose Reborn and War Within. I planned to run a 10-day promotion, ending on the 27th to boost the ranking of my book up so that it got “sticky” in Amazon. This meant that Amazon would push it without any further marketing from me. I cut the promotion short by three days, just because I didn’t plan my FB or Amazon campaigns properly. I felt like I was throwing money down the drain, since clicks cost so much but I wasn’t getting a return from them. 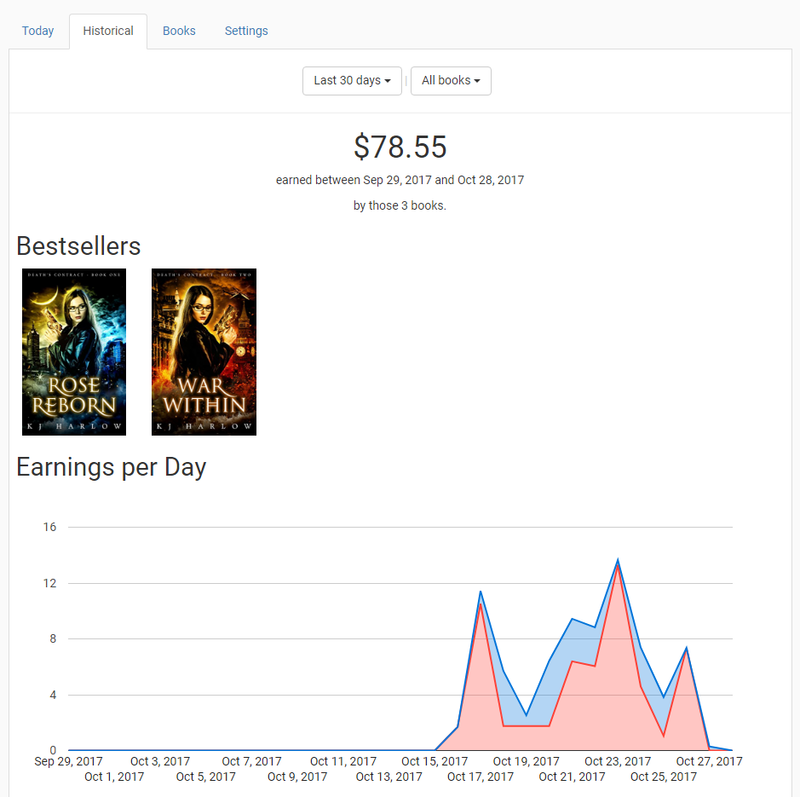 As of the 27th, I made $78.55 in revenue. My YTD loss is over $1,200, from promotions, book covers, etc. 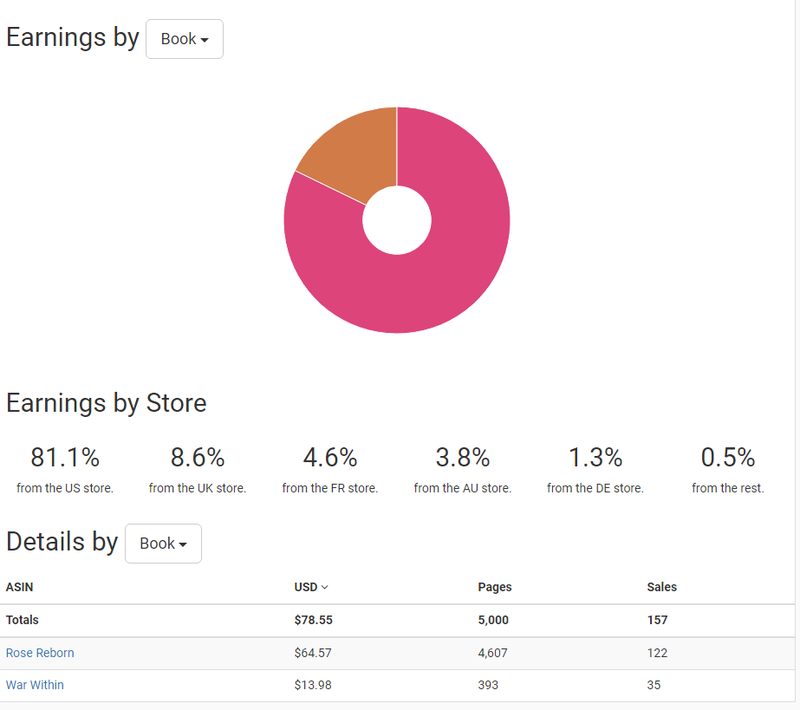 You can see the breakdown of my book sales here after the promotional period. Naturally, Rose Reborn has the lion’s share of the revenue. Of 5,000 pages read from my books, over 90% belongs to RR, while the remaining 10% belongs to War Within. What this means is that roughly one in ten people who read RR chose not go on to read the sequel, which is sort of disappointing. It takes not only a great writer, but a great businessperson to write books that sell like hotcakes. You have to know how to get the right people to read them, the right people being the ones who will want to read Books 2, 3, etc. My promotions consisted of newsletters. These got sales, but I had no visibility into the sort of people who were buying my books. If I had spent money to find my audience on FB or Amazon, sure it would have cost more upfront, but I might have gotten better customers and more sales. I didn’t understand my market well enough. Yes, I was writing a story about Urban Fantasy, but to be honest, I don’t really know what are the notes that resonate with people. I saw that the ones that were doing well on Amazon featured female protagonists, wielding a gun or some other sort of weapon, so I “worked backwards”, having the idea of a cover in mind then creating the story around it. Writing to market is simple, but difficult. As Chris Fox, a six-figure commercial fiction writer explains, you can’t simply get ingredients, throw them together then expect best seller to come out from the chaos. It takes a mindful, thoughtful approach and a lot of time spent mingling with your best readers to write them something they would like to read but haven’t read before. The hardest admission to make: I didn’t believe in my story. I didn’t believe in my characters. I didn’t love my books. To be completely honest, this series is a practice run to help me get into the groove of book writing. Because of these two books I’ve written (third one one chapter from being done), I now know I can routinely push out 900–1,000 words in half an hour. The challenge now is making it 900–1,000 words of quality narrative, not drivel. You might have seen it in this morning’s entry of 100NW, but I’m not going to writing every day anymore. Not on Medium, anyway. In May 2016 when I decided on a whim to do this, I was lost and confused. Now in October 2017, I’m still lost and confused, just less so. I’ve learnt so much not only from the process of writing daily, but also from my writers who have contributed to this publication. Anyone who has shared a story here: 100 Naked Words belongs to you. It’s reaffirmed to me that writing and telling stories are in my blood. I can’t run away from it. Sure, I want to make money, but Medium isn’t the answer. I can’t keep writing 100 words everyday because I need to focus on improving my craft as a commercial fiction writer. I will still be publishing submissions on a daily basis, but I won’t be taking new writers. This publication will slowly dwindle to be a memory of what it used to be, but I’m sure it will get found on Medium by people passing by. I don’t know what I set out to do when I started the publication, but I’m glad it helped me find some direction. I hope that regardless of whether you wrote or read, it helped you find some direction too. A handful of writers completed the challenge of writing for 100 days straight. They have gone on to publish books of their own on Amazon successfully. I would hate to see you being in the same place this time next year, so my challenge to you is this: keep doing. I don’t know what it is you do, but keep doing something, anything. Direction is a precious treasure. It’s hard to find. Until you find it, you have to keep looking. You can only look actively, not passively. Direction doesn’t come to you. You have to wander and be lost. If you’ve read all 26 chapters of my journey, I can’t thank you enough. You would have witnessed someone pushing themselves out of their comfort zone and conquering personal demons. I’m far from being where I want to be, but I’d like to think I’m on the right track now. You can follow me on my author website under my pen name: KJHarlow.com. I may or may not publish on Medium again. Who knows? But if you ever see me in some form, don’t be shy. Reach out and tell me you used to follow me on 100 Naked Words. I’ll be sure to smile and endeavour to respond to you. That’s it from me — bye for now.